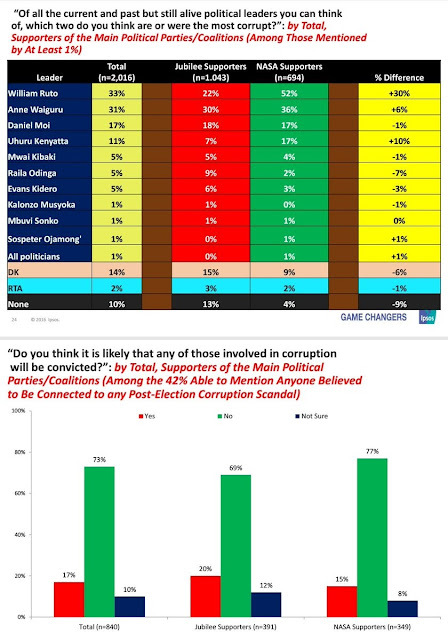 Wednesday August 22, 2018 - Kirinyaga Governor Anne Waiguru has come out guns blazing after research firm, IPSOS Synovate, led by Lead Researcher Tom Wolf, named her as the second most corrupt individual in the Kenya after Deputy President William Ruto. Addressing the media at Kagio Town in Kirinyaga County, shortly after the report was unveiled, Waiguru vowed to sue IPSOS for tarnishing her ‘good’ name. She rubbished the survey as political propaganda, accusing IPSOS of pushing a smear campaign against her. 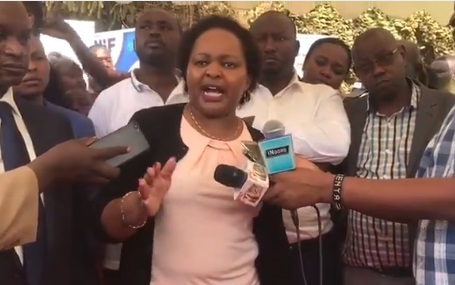 “So you cannot come and say that I am the most corrupt,” said Waiguru, who was accompanied by Deputy Governor Peter Ndambiri and Kirinyaga MCAs. “Kenyans are not foolish,” added the visibly angry Waiguru.